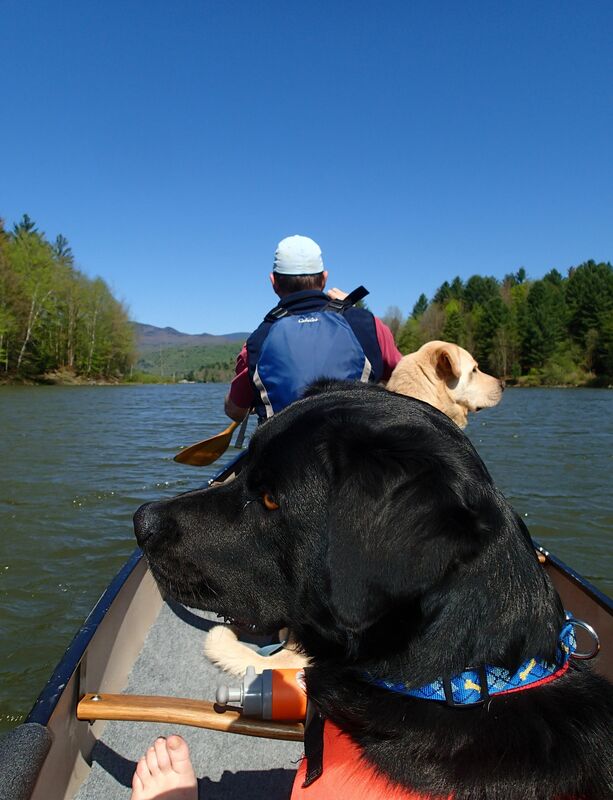 In, On, and Around the Water… | Vermont Paddle Pups! Heavy rains and winds were in the forecast, so our planned overnight canoe camping trip was postponed. Hopefully we will soon be enjoying the sunrise and sunsets from our favorite locale. We hiked Saturday, once the rains cleared out, and focused on finding a trail which would be hikeable after the prior evening’s deluge. We succeeded in this endeavor, and had a great few hours hiking along a raging brook..the trail itself was surprisingly dry. 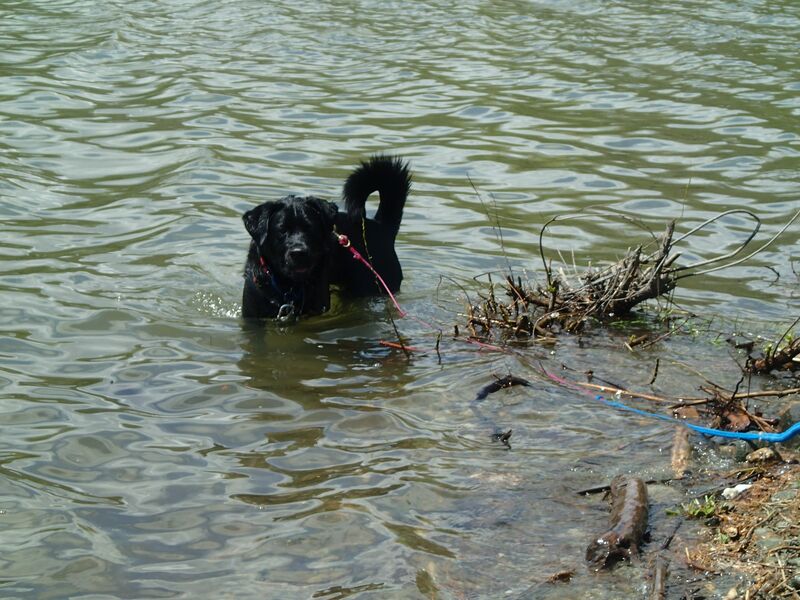 Of course, being near the lake and the adjacent river has it’s hidden dangers….dead fish! 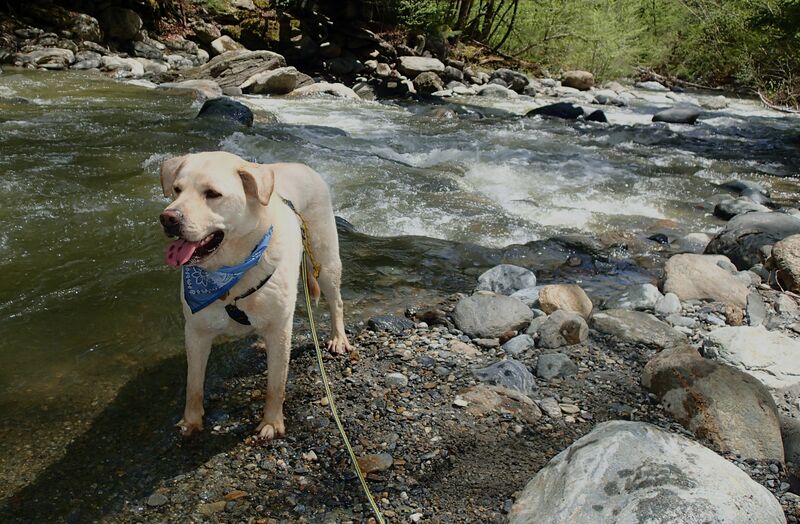 Not generally a big issue, but when Edgar decides this is the perfect rolling spot…well, thankfully, since he is on a trekking line, he could be quickly “reeled in”, and the wilderness bath he received before getting in the car seemed to have limited his odoriferousness. 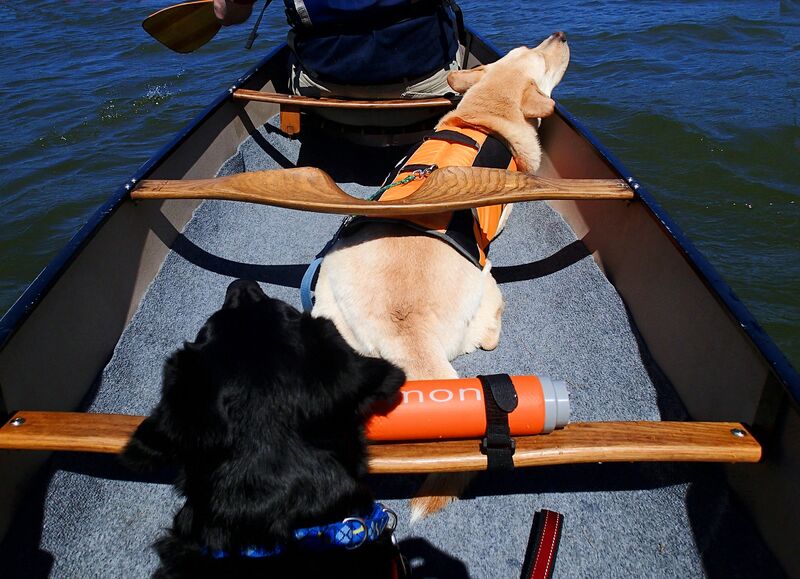 By Sunday morning, the wind had calmed a bit, the sun was shining, so it was clearly time for another paddle. We did not use our new canoe cart/dolly today, as we went to an access where we can practically drive the car into the water. The wind, of course, picked up as soon as we started paddling…however, this Swift Kipawa just slices through the waves as we head into the wind. 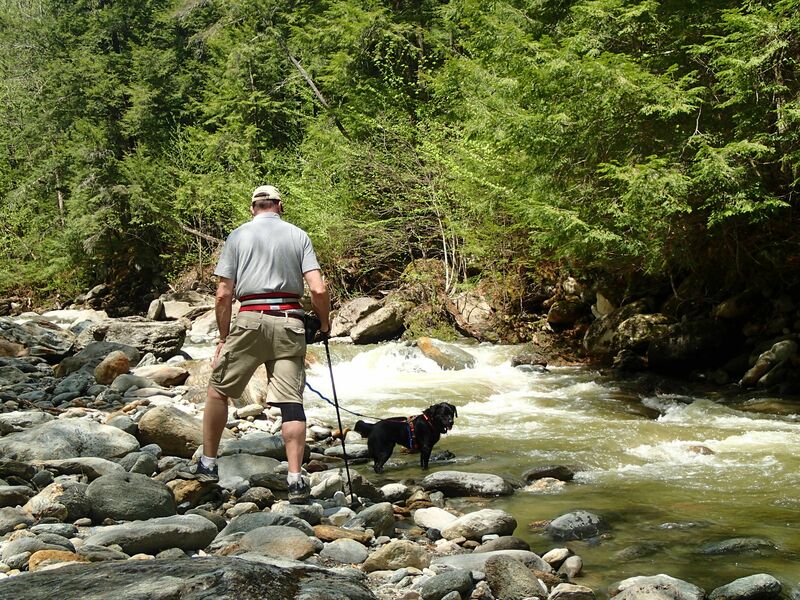 The dogs were impeccably well behaved, and seemed to enjoy the feel of the sun on their faces. Not much wildlife to be seen today—a few ducks taking flight, but no loons, herons, or eagles yet. This is starting off as a memorable paddling season! Just cannot beat bluebird skies! ← A Triumvirate to Celebrate…Mother’s Day!